PERFECT Starter/Retirement home with great views of your own Pond from the screened room off Large Living Room with Fireplace. Move right into this stunning totally renovated 2 Bedroom, 2 Bath home. Full Basement with room for future living space.Current owner has made all improvements for you including New Kitchen w/ Stainless Steel Appliances, New Cabinets, Brand New Windows, New Flooring throughout. Updated Bathrooms - New Vanities, Faucets, Toilets, Doors, Brand new Propane Heating System. Installed exterior drainage around home. Detached Garage + one car garage under. This is a must see home. Why rent when you can own for less. Welcome to Nature Lovers Paradise situated on 23.5 acres with many trails, stream, large Barn, Garage, Workshop & above ground Pool. The best features are the lovingly cared for Farmhouse with spacious rooms. The huge Kitchen features tongue & groove pine cabinets, slate Countertops, plus a Kalamazoo decorative stove. The Master bedroom is situated on the first floor with bath & walk-in closet. The Living room features Hdw. floors & vintage French doors leading to an enclosed 29 x 7 Porch. There is a large covered patio at the side entrance for cookouts & fall evening enjoyment. A fenced garden plus Lush Perennial Gardens is also part of this lovely property. This is a must see! Amazing far reaching views! 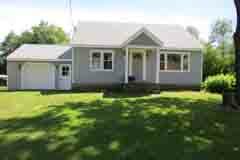 Come see this move-in ready 3- 4 Bedroom Ranch situated on 2 gorgeous acres. Features include open Kitchen with screened deck to enjoy the spectacular views. Large Living room, Dining room, 2 Baths. Full Radiant heated partially finished basement with extra room + walk-out to patio. 2 Car Garage + additional workshop. Paved Drive. Lovely perennials. Handicap accessible. Schedule your private showing NOW! This lovely home will not last. Must Sell, Glorious Victorian with much original detail. VA Assumable, Move-In ready! Quick occupancy. 1st. floor features updated Kitchen w/Corian, SS appliances huge pantry, Formal Dining Room, Family Rm, Large Living Room. Bedroom, full bath. Laundry, Office/workshop w/wood burner, Separate entrance. New Sunroom with side Patio. 2nd. Floor offers 4 bedrooms, master w/huge walk-in closet/nursery. Sitting area w/walk-out for morning coffee, afternoon wine. Full walk up Attic. Lush Gardens, Large Barn, New 3 Bay garage w/loft. Vintage Chandeliers, The list goes on. 4.92 Acres of peaceful enjoyment directly across from Sycamore Golf County Club. Great location, only mins. 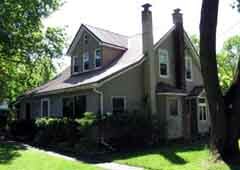 To NYS Thruway, 20 Mins to Albany with quick access to Airport & Hudson Train. Great spot for B & B. Don't Miss out on this Unique 2 story farmhouse with plenty of original detail including Original Pine planking! This home features gorgeous detail throughout with an open floor plan. First floor living space includes a Living Room, Dining Rm. or a Huge Family Room + a full updated bath. Other features include: 3 Bedroom upstairs + full bath. Newer windows, Siding, & newer Boiler. New Septic. Enjoy the peaceful sound of the stream & the view of the nearby Pond on this Quiet country setting all situated on 5+ acres. Classy Farmhouse Totally Renovated in 2013, Interior Features include 3-4 Bedrooms, Custom Kitchen, Granite, Travertine, 1st. floor Laundry, Open concept, Large Living Room w/massive Windows. Bedroom, Office or Dining room + bath on first floor. Second floor offers 3 additional bedrooms, Full Gorgeous Bath, Large closets. Outdoor area designed for additional 3 season living space with covered Pergola, Stamped Concrete, Stone Walls, Fireplace. Enjoy the soothing sound of the Hannacroix Creek. Did I mention the large heated Kennel w/AC too for your pets! Also Included is a Barn & Garage. Very Energy Efficient Home. 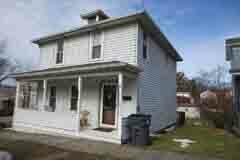 Great Central location only mins to NYS Thruway, 40 Mins. To Airport. Shopping, Restaurants, Etc. nearby. This is a must see home. Superb 2 Bedroom home with breathtaking views of the Hudson River. The owners of this fantastic home have done a total renovation. Features include custom Kitchen w/ Farm Sink, Quartz counters, Custom Cabinets. Stainless Steel new appliances. New washer & Dryer included. Dining room. Gleaming refinished hardwood floors, Large Living room, 2 Bedrooms, 2 baths, Enclosed Sun room to sit & enjoy your evening Wine or morning coffee while watching the ships go down the mighty River. Barn/Garage included. Absolutely NO Pets, NON-smoker only. Lawn care included. Must be credit qualified. 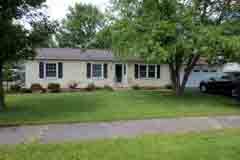 Custom built Ranch with first floor In-Law suite with Galley Kitchen, LR, BR, walk-in closet, Bath w/Laundry. Main Home features 4 Bedrooms, 2.5 Baths, first floor laundry. Large Kitchen, formal Dining room, + family room. Lower level features Large family room w/FP, Bedroom + additional living space. Oversize 2 car Garage. Above Ground Pool. Large Deck, Patio. 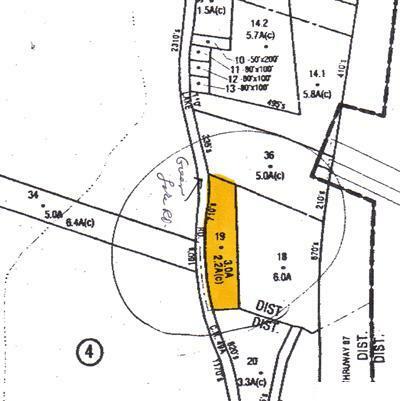 15 Acre parcel. A must see home. This won't last. 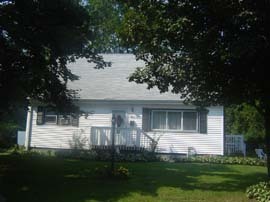 Great spacious expanded Cape with many updates including newer Roof, Gutters, Windows & Siding. Beautiful Kitchen, Oak cabinets, new floor. This home features 2 first floor bedrooms & full bath + Large Dining room, Family room. Large master + sitting room or nursery on second floor. Breezeway just off Garage features bar area with cook top leading to rear deck overlooking In-ground Pool & large Yard for next year summer enjoyment. 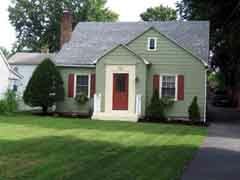 Great central location, close to schools, shopping, Thruway etc. Must see! Enjoy the beautiful Hudson River views from this totally renovated 2nd. Floor apartment. Updated Kitchen with all appliances, including Dishwasher, Refrigerator, Microwave & Range. Gleaming Hardwood floors, huge Living room, one Bedroom, Bath. much original detail, done to perfection! This exquisite second floor apartment is available August 1st. Must be credit qualified. Non smoker & NO pets. Call now for your private showing. First, last & security required. Within walking distance to River. Enjoy boating, parks etc. Great central location. Laundry on first floor. Great Fixer-Upper in country setting with access & rights to private Pond. This home features 2 Bedrooms 2 baths w/Ceramic Tile. Living Room w/ Fireplace. Eat-in Kitchen, Dining Room, full Basement, w/one car Garage under + 1 detached garages. NOTICE; Extensive MOLD in home, take precaution upon entering. Mold is extensive in basement. Estimate for remediation on file. Seller will credit for remediation. Cash or Rehab loan only. New Well Pump. Waterfront! Enjoy the beauty of the mighty Hudson River from your private deck. Beach & boat launch area in your own back yard (the Hudson River)! What more could you ask for?? This lovely cottage is the perfect get-away from the hustle & bustle of every day stressful living. This home features one bedroom on the 1st. floor + a loft for an extra bedroom. Open concept in Living room w/ wood burning Fireplace + dining area. Enjoy breakfast, lunch & dinner while watching the ships go by , You'll just love it! In addition there is a small cottage with Bunk beds for the Grand-Kids or guests. While your not using this piece of Paradise, why not rent out for Air-B & B. This could be a money-maker for you. Move right into this beautiful 2 Bedroom 1.5 Bath Townhome in Elm Estates. Immaculate condition! New Furnace, New Air Condition Unit & Hot Water Heater. Recently painted. Gleaming Hardwood Floors. Walk-in closet in Master Br., + tons of storage. Slider off Dining Area to Private backyard patio overlooking large wooded area. Laundry room, Garage. This home offers a Balcony off Master Br. For morning Coffee or evening enjoyment. Don't miss this gorgeous home with NO HOA fees. Great central location. A must SEE!! Looking for that secluded spot to build your dream home? Look no further! This parcel is ready to build on. Well is in, property is wooded & private. Ideal Pond site on property also. Great spot for Hunting, Camping etc. Hiking Trails on property, a great spot to re-connect with nature. Beautiful Stone Walls outline property. Property is surveyed. Located 25 Mins. 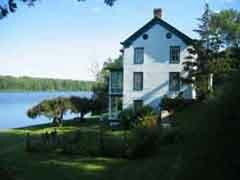 to Albany, Hudson etc.. Visit this Peaceful, quiet rural area. Welcome to this Exceptional 1875 Victorian. Private setting with gated entry. This gorgeous home features approx 3200 sq ft. of Living Space. Imagine spending the holidays around the Wood burning Fireplace in the large Living Room & entertaining your guests in the 25' Dining Room + overlooking the beautiful grounds from your Radiant heated Sun room with great views of the Hudson River. This is a must see home featuring: Lg. Kitchen, 3 Bedrooms, 3 Baths, Den, Office, 1st fl. Laundry & so much more. Lush Gardens, Panoramic Views, In-Ground 50' Pool. This is the perfect home or B & B. Great Central Location. Make this home yours. Schedule your private showing NOW. Current owner's loss is your gain. Great opportunity for first time buyer. Solid home in need of updating. Small Kitchen, 3 Bedrooms, Bath, formal Dining & Large Living room on first floor. Additional Bedroom on Second floor, no closet. + room for expansion. Full unfinished basement. Screened 3 season porch overlooking the mighty Hudson River. One car garage with loft for barn/storage etc.. Paved drive. Priced to sell! MLS #114336 2523 County Route 67. Kitchen Cabinets, New Carpet & Bath. The spacious Deck off the Kitchen & a relaxing front porch offers great entertaining space for summer enjoyment. This home includes a Family room with bar for entertaining plus a Private back yard with Fire Pit, all situated on a one acre lot. The 1.5 attached Garage is great for the handyman or a personal workshop. New Propane furnace with back-up electric heat for individual rooms, if you prefer. Totally renovated! NEW: Roof, Carpeting, Sheetrock, Walls, fresh Paint, Fixtures! Move right into this Charming Bungalow with newer kitchen. Solid surface Counters, S/S Appliances, Updated Bath. Large Living room, Dining area, bath & bedroom with large closet area or office space upstairs. Lower level features 2 Large Bedrooms or Family room & Bedroom. Enclosed heated Porch with walk out to fenced rear private yard. Great starter, Retirement home. Nice Deck at front entry. Side driveway, off street parking. Great location near River, Dining. Close to Hudson, Just 20 mins. to Train station etc.. Make this home yours NOW, call for your private showing. This one won't last!! Move right into this gorgeous 3 bedroom home with open floor plan. Split bedrooms with master bath, loads of storage. Large Kitchen, upgraded cabinets with expanded counter top for stool seating. Dining room, All appliances included + gas stove in LR.. First floor laundry w/sink. Huge basement for future family room. 20K Generator w/hook-up. Huge screened porch just off Dining area with gorgeous country views. Great starter or retirement home. Detached large workshop with electricity + 2 sheds included. This is a must see, won't last! Pride of ownership shows in this recently renovated Arts & Crafts 4 Bedroom 1 & 3/4 Baths Home w/1St. Floor Laundry. Move right-into this beautiful home with many original details including beautiful columns, wood trim & Hardwood Floors. This home features a first floor Bedroom, Large Living Room, Formal DR., Kitchen w/SS Appliances. Second floor offers 3 Br's., Bath w/Jacuzzi Tub. Full Basement. Newer Roof, Sheetrock, upgraded electric & Plumbing. One car under + a 2 Car detached Garage. Beautiful Stone Patios & walkways. A great place for Summer entertaining & enjoyment. Hudson River views. Close to Marina, Churches, Shopping, Banks etc., A great central location! Custom Contemporary built by master craftsman. 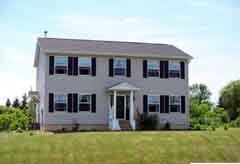 Home features 4 Br., 3/4 Master bath + 2 Baths, Family rm., den/office, walk-in closets. Spacious Living room/Dining room with Brick Fp., Eat-In Kitchen features S/S appliances, solid surface counters, wood Burner. Beautiful Hardwood Floors, Lower level room for crafts/office area. Steel I Beams, 2 car garage, & so much more. Impeccable quality throughout! 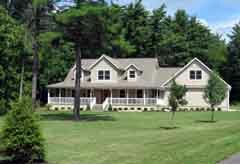 All situated on 5 acres w/pond. Gorgeous views of the Catskills & Berkshires. Minutes to thruway & shopping. MLS #114366 11 N. Clement Rd. Charming 2 Bedroom Starter/Retirement home. Great open floor plan in Living room & Dining room with new floor. The bath has been updated with new walls, floor, vanity etc. Major components such as electric, drains, faucets, some plumbing have been updated. Make this home yours & enjoy the relaxing large front porch plus the beautiful rear yard for summer entertaining. This lovely home is situated close to shopping, schools, Town Park, churches etc.. Only 20 minutes to Albany. Don't miss this one. 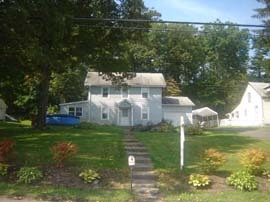 MLS #114130 16 S. Montgomery Rd. 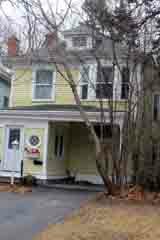 2 story home with original moldings, staircase & beautiful hardwood floors. This spacious home features an upgraded kitchen with solid surface counter tops, + SS Appliances,a large Living room, Dining room, Bath + a nice entrance foyer completes the first floor. The second floor features 3 Bedrooms with access to full bath off master Bedroom with laundry. Full basement. Newer windows, Roof w/Gutters, updated electric. A rear deck for enjoyment + a rocking chair front porch. There is a one car garage + a shed to complete the package. Centrally located with walking distance to Hudson River, Banks, Senior center, Park & cultural center. Location, Location. Corner lot with a great yard. MLS #114205 36 Powell Hill Rd. A must See! Custom Ranch situated on 8.5 acres with spectacular panoramic views, within walking distance to Sycamore Golf Course/Country Club. This 3 Bedroom 2 bath home features Split bedroom plan, full master bath w/Jacuzzi Tub. Large open Living Room + Dining room & Kitchen. A great space for entertaining! The full basement is large & could be finished for future family room. Home was built with energy efficiency in mind. The exterior features beautiful perennial gardens, natural stone landscaping plus Blue stone Patio & stairs as well as a beautiful stream. This is a home you won't want to miss. NY State Thruway only minutes away with a short commute to Albany, NYC or Airport. The perfect place to start home ownership is in this 3 or 4 bedroom, 1.5 bath home. Located in a quaint and convenient neighborhood. Features include 1st floor bedroom/office with private entrance or Family Room, Kitchen, Formal Dining, Large Living room + 1st floor Laundry. Side entry to deck and semi-private backyard. A 2 story Cottage is included as a bonus for the hobbyist or doll house or potting shed. Home is ready for a new owner to put their stamp on it. Fresh paint, Decorative Ornate paint in DR & Hall ceilings. With some updating and it will shine! 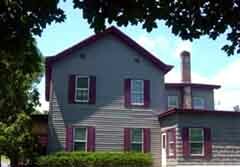 Energy efficient home has economical Natural gas heat & blown-in insulation. Walking distance to school & Hudson River. Taxes do not reflect STAR. Fantastic Business Opportunity in growing Greene County! 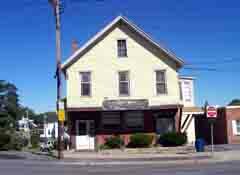 Perfect business spot located on heavily traveled Route 9 W in Coxsackie. This high volume business location is perfect for the entrepreneur. Building Is only 23 Yrs. Old & in great condition. Current use is delicious soft serve Ice Cream with all equipment offered in sale + a miniature Golf area + a Green House & office space for future business expansion. Use your imagination To create the business you've always dreamed of!! All this situated on 2 Acres. Call now For your private showing! Charming Cape with first floor Bedroom, formal Dining room, large Living room Plus full bath on first floor (Hardwood under carpet). Second floor has 2 large bedrooms with bath. Plenty of closet/storage space in eaves. All major improvements have been completed: new wiring, new Roof, newer windows, new Ceramic Tile floors, New Bath, newer Furnace, oil tank & hot water heater. Many built-ins & closets. Attached one car garage w/new garage door. Full basement. Great back yard for entertaining. 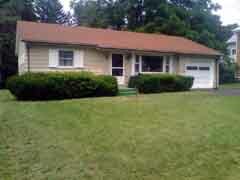 Minutes to Albany & surrounding areas, great central location. Home is Move-in ready! 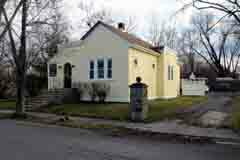 MLS #114131 17 Third St..
Charming Bungalow with newer kitchen with solid surface Counters, S/S Appliances, Updated Bath. Great space for expansion in lower level. Great starter, Retirement home. Fenced large rear yard. Nice front porch.Enclosed rear porch. Side driveway + off street parking in front. Great location near river. Property sold as-is. Huge Price Reduction!! Surrounded by State Land with magnificent mountain views from this perched 3-4 bedroom home. Enjoy the vacation lifestyle everyday from the expansive decks. This property offers all amenities of carefree one level living. Minutes to Windham Skiing & only 25 mins. to Hunter Mountain. 2.5 Hrs. to NY City. 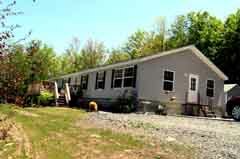 A great property to enjoy your recreational vehicles, privacy & country lifestyle. Generator Hookup. Very economical, low heating bills. Extra insulation in roof, walls & attic. Elect. Avg. $100./mth.. A must see home! Private Custom built ranch featuring 4 Bedrooms, 3 Baths, Hardwood Floors, Central Air & Vac. Large Formal Dining Room, Living Room w/Fireplace, Eat-in Kitchen w/ceramic tile & S/S appliances. First floor laundry & mud room. Outdoor entertaining area with beautiful patio, rear deck & so much more. Oversize 2 car garage. Large concrete pad for future garage or camper. This is a must see! Totally renovated 3-4 bedroom home 2.5 baths with lower level family room. Large Living room, formal Dining Room. Hardwood floors. All new appliances including, Washer, Dryer, Range, Microwave, Dishwasher & refrigerator. One car Garage with paved driveway. Deck off Kitchen. Lease required. NO Pets, NO Exceptions! Must have good credit. First, Last & Security required + one year lease. Prime & Desired locale - in Pine Hills close to universities & hospitals. Updated spacious first floor apartment with Large Living room, Dining Room, Kitchen, Bath and One Bedroom. Excellent condition. Freshly painted, beautiful hardwood floors. Fenced rear yard. Private entrance. Non-smokers only. NO Pets. Charming second floor one bedroom apartment with loft. Immediate occupancy. Don't miss this Beautiful Move-In ready home for the first time homeowner or Retiree. This lovely home is full of character & charm. Great features include: Hardwood floors throughout, Kitchen with S/S appliances & gorgeous cabinets, Large Living room has original Stained Glass window & door with beveled glass which is just part of the character of this home. The Dining Room is large enough for those big dinner parties. The main bath is updated + a half-bath is just off Master Bedroom. Attic is great for extra storage or future expansion. The lower level offers a great Study/Den with privacy. The front porch has a semi-enclosed area. In addition, a large 1/2 acre lot is great for fun & summer enjoyment. Owners have made many improvements. A must see! 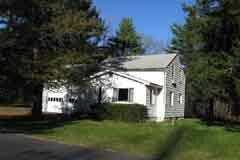 Convenient location, close to shopping, banks etc.. Short commute to Albany or Catskill. Priced to sell! MLS #85910 176 Levett Rd. A private retreat on 98 acres with spectacular Panoramic views of the Berkshires & Catskill Mountains. 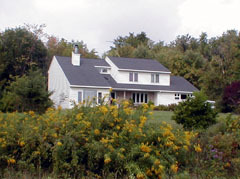 The property features Open fields for pasture, a deep spring fed Pond for fishing or swimming + your very own shale bank. You'll love the pines, flowering trees & all the nature on this lovely private retreat. The home features a large working eat-in kitchen, a huge living room with Fireplace W/ wood stove insert for economical cozy heating. The master suite features a fireplace, Bath, & hot tub. An office/den + large bedroom & laundry are part of the first floor features. The lower level living area offers 2 additional bedrooms + a large family room and Sauna. Enjoy the panoramic views from all rooms. If you're seeking privacy, peace & tranquility, look no further. 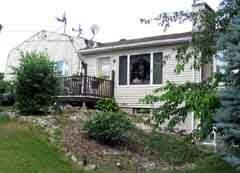 Spacious Ranch with huge decks for summer enjoyment (hot tub Negotiable) & back yard entertainment. This 3 Bedroom home features open Kitchen Dining area, Hardwood floors, full bath, Large Family room w/ wood burner, 2 car detached garage, great central location near school, shopping & entertainment. 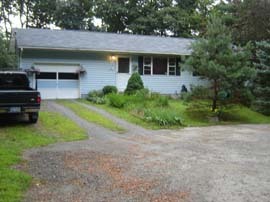 Great country location for this 2 Bedroom Rental. Perfect for young couple or retiree. Enclosed Large front Porch. Off St. Parking. NO Pets. Non Smokers. Must be credit qualified. Don't miss out on this Move-In ready 3 bedroom home. Features include Gorgeous Newer updated Kitchen with S/S Appliances & Custom Cabinets. You'll enjoy the large Living & Dining Room w/ Hardwood floors under newer laminate. The spacious bedrooms have plenty of storage + a nicely appointed bath with Ceramic Tile. The lower level offers a family room & utility/work area. Included is a one car garage also. The outside of this home is maintenance free with newer Siding, Vinyl clad Thermo windows, Newer Roof + a beautiful Pool for your enjoyment. The screened porch is a bonus. Very economical, well insulated home. This property has a beautiful yard & seasonal views of the Hudson River & is a short distance of the Marina. Location is only 20 mins. To Albany, 2 Hrs. to NY City + minutes to NY State Thruway. Great 2 story Victorian featuring 2 bedrooms, Eat-in Kitchen, Formal Dining Room, Sitting room, Large Living room, Gleaming Hardwood Floors, 1.5 Baths, Plenty of storage. Attached Over size Garage, Enclosed 3 Season room. Large Fenced Yard, w/fire pit. Newer furnace & roof. 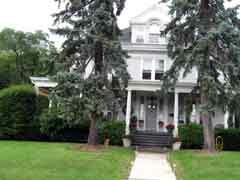 Convenient location, close to schools, shopping NY State ThruwayGreat 2 story Victorian featuring 2 bedrooms, Eat-in Kitchen, Formal Dining Room, Sitting room, Large Living room, Gleaming Hardwood Floors, 1.5 Baths,Garage, enclosed 3 Season room. Large Fenced Yard. 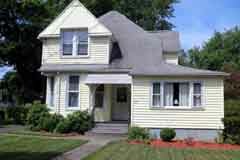 Convenient location, close to schools, shopping NY State Thruway. 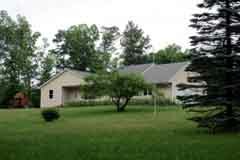 Located on a quiet country road is this easy living Ranch style home situated on 1.5 acres. This property features 3 bedrooms 1 3/4 baths, formal Dining room + Large Living room with efficient wood burner upstairs. The large family room on lower level has a walk out. This is a great space for guests & entertaining. There is a large Deck off the dining room for summer enjoyment. A spacious 2 car garage is included. 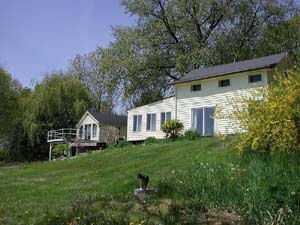 Current owner has planted beautiful perennial gardens + Fruit bearing trees. Charming 2 bedroom home with new kitchen, beautiful Granite solid surface counter tops. Large living room. Large yard, offers great spot for garden or new pool for summer enjoyment. Dead end street, close to NYS Thruway, shopping, churches ETC. 1 car garage, sheds. Call now to schedule an appointment. Rear Foundation work to be completed at owners expense or credit at closing. Better than new 3 bedroom 2 full + 2 half baths. Eat in Kitchen, formal Dining Room, Large Living Room with Fireplace. Freshly painted, New Carpet, Hardwood Floors, Large Master En-Suite, double closets, Screened Porch, full finished basement. 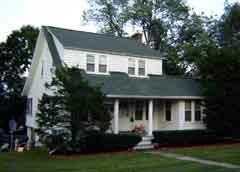 Great second floor laundry,Central location, easy access to schools, shopping, major highways. Bethlehem Schools. Don't miss this one! Country living at it's finest! If your seeking Privacy in a peaceful, tranquil setting, just minutes from shopping, schools & New York State Thruway, this is it!! This charming home offers 3 bedrooms, Large eat-in Kitchen, Dining room w/fireplace, Living room, 2 baths, lower level Family room w/fireplace, utility room + 2-car attached garage. A bonus of a 2 car detached garage w/electric is included + a concrete pad for camper etc.. This charming home is situated on a 2 + acre parcel surrounded by mature trees. Private Wooded Retreat on 6 Acres located on a Dead-End Street within minutes of the Hudson River. 1920's home with loads of Character. This 4 Bedroom home features an updated Kitchen, Dining Room, Large Living Room w/Fireplace + a 3 Season screened room. Wine & dine on the Deck off the Kitchen or around the gorgeous in-ground Oval Pool. In addition a 2 Story Barn w/electric is included. A great place for Boat storage, Artist studio or use your imagination. This property has it all! Schedule your private showing now! 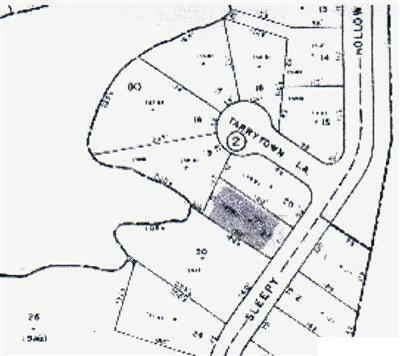 The Perfect lot with lake & mountain views to build your dream home in Sleepy Hollow Lake community. Private Motorboat Lake. Property is close to the Beach and Pools. Enjoy all amenities the community has to offer including two Swimming Pools, Beach, a Marina, Fishing, Kayaking,Tennis and Basketball courts, PLUS 24 hour roaming security. 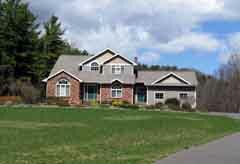 Close to Golf, Hunter & Windham Mountains for Skiing, Parks, recreation & FUN. Just mins. To Hudson/Amtrack + only 2.5 Hrs. to NYC. Great investment property. Let your tenants pay your mortgage! Great rental property with no vacancies. Owner lives on first floor. Potential rental, $1,600 per month. Property is in great condition. 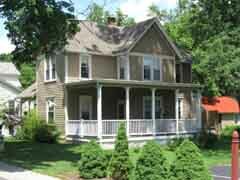 Much original character & charm including front porch. Off street parking. Within walking distance to Main St. Turn Key condition. Beautiful private setting. Build your dream home on this peaceful country location. Mature trees & great building site. Property has recent survey. MLS #104223 916 Sleepy Hollow Rd. Stunning 4 Bedroom, 2 bath home (2nd. Floor - all new) Main level features Large Living room w/ Fireplace, Dining Area, w/slider to deck. Kitchen w/Top quality cabinets, Concrete counters, Stainless steel appliances. Radiant heating, Wood floors, Wide hallways (wheelchair accessible) + 2 Bedrooms & full bath w/Jacuzzi Tub. Second floor offers 2 Bedrooms, full bath + future play room or storage area. Propane heat. 2 car garage. Many custom features in this top quality home. Property backs up to Forever Wild! Enjoy all amenities Sleepy Hollow Lake has to offer, Boating, swimming, recreation. MLS #104459 17 Kings Rd. 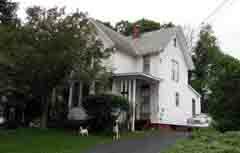 Spacious 3 Bedroom home in desirable Coxsackie area. This home features Large Living room with Fireplace, New carpet. Dining room, charming kitchen, Hardwood floors. Full Basement, Patio, covered front porch, Large fenced yard. 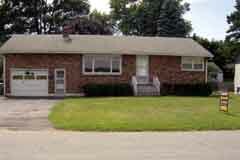 Spacious 24 x16 Garage, Paved driveway. Centrally located near schools, shopping & more. Just minutes to Thruway entry/exit. 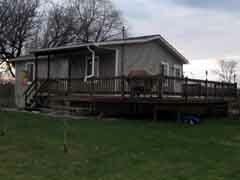 MLS #105335 482 Medway-Earlton Rd.. Priced to sell!! 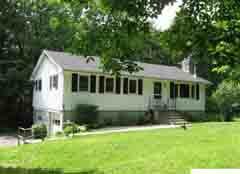 Lovely ranch in great country setting situated on 2 acres. Home is in need of Paint, new Kitchen & New Bath. Home features Hardwood floors, Large eat-in Kitchen, 2 Bedrooms + office, nursery & large Living room W/gas Fireplace + enclosed front porch on first floor. Lower level includes one bedroom, Family room + 2 storage rooms, great in-law area. NEW Roof. Out of state seller says sell! MLS #103509 32 Pinewoods Rd. Move-In ready! 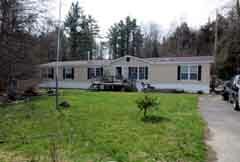 Renovated Ranch home with wrap around Deck in great country setting situated on 1.5 acres. This 3 Bedroom home features an open Kitchen/Dining area with slider to huge deck. Living room with brick fireplace. Hardwood + Ceramic floors + new carpet in 2 Bedrooms. New Stainless Steel appliances. Huge basement with walk-out which could be finished for future family room. New Propane Furnace + hot water heater. 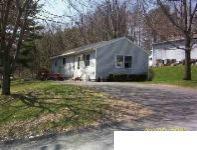 Centrally located near all activities in Catskill Mountain Resort area. Move in Ready Starter/Retirement home with room for future family room/expansion. This home features Eat-In Kitchen, Large Living room, Hardwood floors + an attached Garage with additional 2 car garage which is a great for future workshop etc.. Newer windows, Siding + Roof. Great central location close to school, shopping, town park,Pool & more. MLS #103536 1188 Cornwallville Rd. Spectacular mountain views surround this great home with much potential. What a great place to call home & add your finishing touches! Currently this home Is in need of flooring (Plywood sub-floor now) + the second floor could be 2 more bedrooms plus a full bath. Beautiful Kitchen cabinets, full size appliances needed. There is so much potential in this 8 Yr. Young Energy Star home, however I cannot verify! Wood stove in Living Room + Propane furnace & Tankless hot water Heater. Open concept on first floor features Living room with Kitchen/Dining area. First floor bedroom + office/study + 3/4 bath. A must see. You cannot build at this price!!! MLS #95367 218 Sunny Hill Rd. Enjoy country living in this totally renovated Cape Cod home situated on 5.4 level acres with great views. New everything including: Roof, Siding, Electric, Furnace, Windows, Floors, Bath (slate walls & floors). New Kitchen w/Stainless Range, Micro, Refrigerator, Dishwasher. Enclosed utility or Mud room in front & rear. Great spot for office etc.. No heat or electric in home, Will be fully operational prior to closing. Some improvements still being completed. Minutes to Golfing, Skiing. Greenville Schools. Easy Albany commute & only 2 Hrs. to NY City. A must see! NEW PHOTOS!! 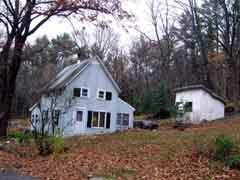 MLS #103110 466 Vosenkill Rd. 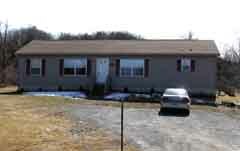 Well maintained, excellent condition 3 Bedroom Ranch, Master suite with double closets. Large Living room with Fireplace. Eat-in Kitchen w/SS Appliances, Ceramic Tile floor. Lower level offers large family room w/1/2 Bath, Bar, Pool Table + exercise room. Pellet Stove. Buderus gas Furnace. Outdoor 20 x 20 Patio + 24 x 12 Deck for outdoor summer enjoyment. Private lot. Large storage shed. Don't miss this one, call now for your private showing! Breathtaking scenic views of Albany Skyline + Hudson Valley/River views. Over 1000' Road frontage. Rough road is in. Great level building spot with spectacular views & privacy! Hundreds of surrounding acres with ATV trails, streams and wildlife. 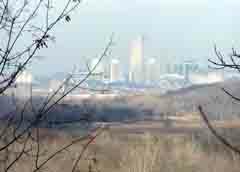 Nature preserve across St.. Only 6 miles to Albany. This is a must see! Solid 4 Bedroom 1.5 bath Cape located in great residential area. This one owner home features Hardwood Floors, Living room w/Fireplace, Formal dining Room with custom built Buffet. 2 Bedrooms on main level + full bath. The Second floor has 1/2 Bath + 2 large Bedrooms with Hardwood Floors. Full Basement. The double Lot offers plenty of room for family fun + enjoy the screened room off the Garage for many days of enjoyment just like the present owners family has done for the past 63 years. Garage has electric + overhead storage. Superb location near Restaurants, Shopping etc.. Schedule your showing now! 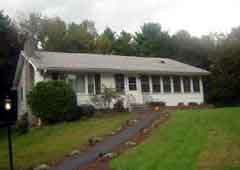 This 3 bedroom home is situated on a private 8.24 acre lot consisting of a stream & pond. Access to the property is via a deeded driveway approximately 0.4 miles before the property is reached. Condition is fair. 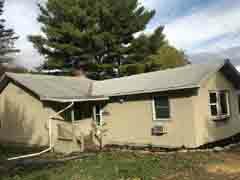 Home is in need of repairs/renovation with full basement & one car under. NO representation is made regarding the buildings condition. Well & septic are unknown. There is NO electricity to the property. Former owner lived totally off the grid with solar & propane. There are several other buildings on premises consisting of a 36 x 26 Pole barn + a machine shed. Appointment is required. NO drive-by's to property agent must accompany! 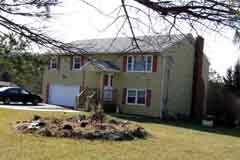 Quality-Built, Spacious, well maintained 3 level Colonial located on a quiet cul-de-sac! Features include 3 bedrooms, 2.5 baths, eat in kitchen with Corian, 3 Season Room. Lg. Living room w/gas Fireplace. 1st. Floor Family Rm.+ Family room in lower level. Total living space approximately 2850 sq. ft. Large Master Suite w/walk-in closet. Hardwood floors, Fireplace in Living Room, Central air, 2 car Garage. Property backs to forever wild with great seasonal views. Close to schools & shopping. Minutes to Albany. This home has it all. Schedule your private showing now. A must see! Great residential area. 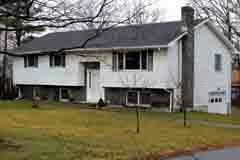 Spacious ranch, located on 5.6 wooded acres with brook, 4 Bedrooms, 2 1/2 Baths, Hardwood floors throughout most of the house. Raised hearth fireplace in Family Room accents the exposed beams and knotty pine walls. The Sun Rooms wood fireplace doubles as an indoor grill. 9' ceilings in the basement and double door access is perfect for a shop or exercise room. Walk-up attic has plenty of storage. 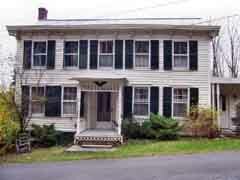 Located on a secluded dead end street & is less than a mile from the Alcove Reservoir and only 15 miles to Albany. Country living at it's finest! 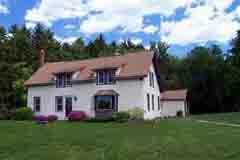 Immaculate, Spacious 4 Bedroom Colonial nestled privately on 3 acres. Kitchen features Oak cabinets, Granite Counters, SS appliances, Formal dining. Hardwood & ceramic tile floors, 1.5 baths & newer Windows. Cozy Fireplace in Living Room. Full basement w/exercise room. Very economical heating. Deck off dining area. 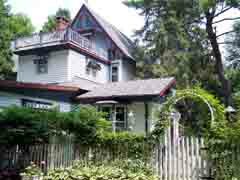 Ideal location just minutes from NYS Thruway. Just 30 minutes to Albany & only 2 hours to NYC. Proud owner/builder lives here, Move right-in NO renovating, paint or updating needed here! MLS #95710 17 McCulloch Ave.
Charming 2 Story well maintained 4 Bedroom home located in a great Central location. The first floor features a sun-lit family room, formal Dining room, Kitchen, plus an enclosed front entry, back entry + laundry room. The upstairs offers 4 bedrooms, a full bath + an attic for extra storage with extra insulation. This is a very energy efficient home with low heating costs, newer energy efficient windows & furnace. The outdoors offers Mature trees, gardens, double lot, patio & the beautiful front porch which are just part of this must see home. Owner will give allowance at closing to update electric panel. Charming 3 Bedroom home in excellent condition. Home features retro kitchen w/new floor. Ceramic Tile newer baths with radiant heat & whirlpool tub. Gleaming Hardwood floors, newer roof, windows & furnace. Adirondack Basement system. 2 Car detached garage with Man-Cave with heat + Pool Table stays. Property backs up to water company. property. An extraordinary Custom built home in a beautiful Rural setting features an Impressive large Foyer, A Designer Kitchen with Custom Cabinets, Miele Appliances & center Island, A Cook's Dream! The Spacious Formal Dining room is complimented with Oak trim Tray Ceiling & ample windows. The Massive large open Living Room has high ceilings with new gas fireplace. The Spacious first floor Master Suite features a walk-in closet & private bath. Completing the first floor is a Laundry room + 1/2 bath & Radiant Heat. The Impressive Oak Staircase leads to 3 Bedrooms,large closets a Full Bath + additional future living space, Media room & storage areas. Additional Amenities are: Central Air, Central Vac, 3 Bay 38 x 32 Heated Garage, Huge Basement, 6 Zone High Efficiency Buderus Boiler. Large Covered front Porch w/Fibercrete floor. 40 x 12 concrete Pad for RV w/Elect. hookup. New 20 KW Generator, MUST SEE! Spacious 2 story contemporary home featuring gorgeous spacious kitchen with custom cabinets, SS appliances & ceramic tile floor. First floor bedroom w/bath + laundry/mud room. Large living room & huge dining room offers plenty of space for entertaining. Second floor offers 3 bedrooms, 2 full baths (Master suite has ample closets) + Sun room w/slider to deck overlooking the in-ground heated pool,Pool house & beautiful landscaping. The full basement is a partially finished family room w/pool table + An exercise room. Many recent upgrades. 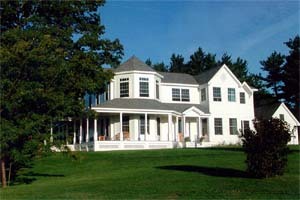 In addition to all this, there is a large Barn w/2 car garage & newly Paved driveway to complete this unique property. A must see! Move right-in, No work needed here! Don't miss this beautiful totally renovated Craftsman Style 3 Bedroom Cape featuring formal Dining room, 1.5 baths, Large Living Room w/gorgeous Fireplace with custom stone surround, Hardwood Floors, new Electric, Furnace & more. Pride of ownership shows with the custom stonework inside & out. This home is warm, inviting & full of character, color & charm. Situated on a sought after street with great yard + a Tree House for the young ones. Diamond in the Rough! 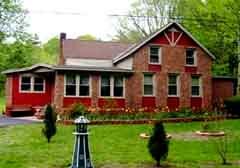 Spacious home with large Living room w/wood burner, Lg. Dining Rm w/propane stove + 1st. floor bedroom. Large eat-in Kitchen, Hardwood floors, beautiful staircase. 4 Bedrooms + full bath on second floor. Garage attached,in need of concrete block repair. Newer furnace/hot water heater. CB panel box on 2nd. floor. Owner thinks hardwood under plywood on second floor. Nice spacious lot. 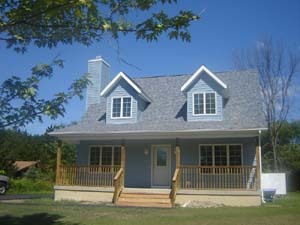 MLS #92464 Rental Sutton Rd. 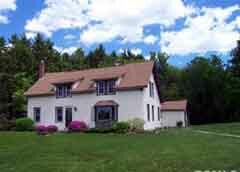 Charming 2 story home situated on 1.80 acres in a tranquil country setting. Large decks overlook beautiful gardens. Home includes 2 stone fireplaces, 3 Bedrooms + 1.5 baths all appliances. Close to Skiing, Hiking, Horseback riding, State Parks +10 minutes from Zoom Flume Water Park. Credit check + Employment verify. NON Smokers only! Former Model Home: Spacious 4-5 Bedroom home with private master suite with your very own retreat. Master suite features a huge bath & walk-in closet. Three bedrooms situated on opposite end with full bath. Open floor plan. Living room with Fireplace, Large Family room, formal Dining room, eat-in Kitchen W/Island. First floor Laundry, all situated on 4.65 acres with shed. Circa 1890 four-bedroom side hall colonial with a victorian influence on mature landscaped grounds situated on 1.7 acres and just one mile from the village of Coxsackie. this home features both an oil furnace & wood-burning furnace, which work as auto backup & also a generator hookup. There are mostly newer combo tilt in windows, lots of storage such as a summer kitchen and an enclosed back porch. 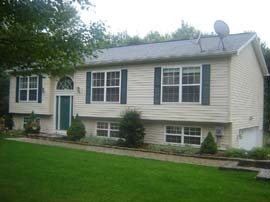 Excellent access to NYS thruway and commuting. 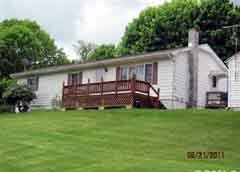 Lovely Ranch in beautiful country setting with large enclosed front porch. Huge eat-in kitchen, Hardwood Floors, 2 Bedrooms up + office/or Den and 1 bedroom down with own 3/4 Bath, PLUS room for expansion or in-law with own entrance. The large Deck off the Kitchen is a bonus for entertaining. This home offers a supplemental Wood burner to reduce heating costs. 2 Large sheds (one is 38 x 10 with electricity). Gorgeous grounds, Move right - in, Fresh Paint - interior & exterior, new Roof. A well maintained home. Custom amenities throughout with attention to detail at this impeccably maintained 3 Br, Colonial situated on 5+ landscaped acres w/spring fed pond. The Custom kitchen consists of Granite countertops, tall cabinets, Travertine floor and all appliances. The Formal Dining Room is breathtaking with Hardwood floors. The large Master Suite consists of a huge-walk-in closet + Spa like master bath, duel jetted shower, dbl Corian sinks & natural stone floor. Two French doors off the 28 x 24 Living room, lead to a 3-season room w/Hot Tub. The expansive covered front porch & custom walkways add charm to the country setting. A four bay garage w/200 amp electric w/ additional storage area above is a plus to this great property. An outside wood burner (alternative-heat source) adds warmth & adds for very economical heating. 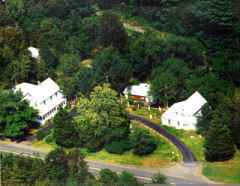 Privately situated just a short drive to 4 season recreation & close proximity to Albany, Saratoga, Catskill & the NYS thruway. Adjoining 8 acre parcel is available. 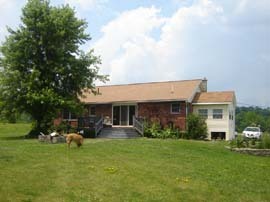 Great country home on 2 acres, convenient to Albany. This home boasts classic original hardwood floors, original woodwork, built-ins.. 1st floor offers Fr., Lr., Dr, large eating area off kitchen, First Floor Br could be used as an office + 1/2 bath. Second FL offers 3 Br's w/Large Closets and Full Bath. Enjoy dozens of flowing fruit trees, many perennials and a garden in this partially fenced yard. Great area for entertaining, children and relaxation, along with the enclosed front porch that offers extra seasonal living space. 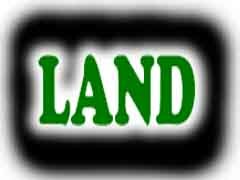 Private country property to build your dream home on, situated on a dead end road across from the elementary school. 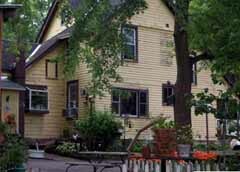 Convenient to shopping, restaurants, 4 season recreation. This lot offers privacy with mature trees. Lot is surveyed. Great Spacious office just waiting for new owner. Large open space on main level with 2 half baths. Former municipal & office building with much potential. Second floor 2 Bedroom Apartment is occupied & tenant wants to stay. Let the rental income help pay the mortgage. Convenient to school, banking, shopping etc.. Great income potential. Call for your private showing now! Excellent starter/retirement home in move in condition. 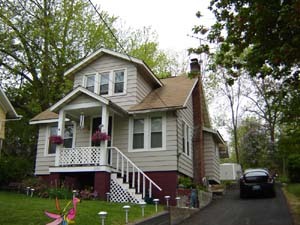 This home features beautiful hardwood Floors, Cozy warm Pellet stove to supplement heating cost. Large master Bedroom with full bath (whirlpool tub) & spacious walk-in closet. All appliance remain. New 10 x 12 Shed. Home has been completely remodeled over past 5 years. 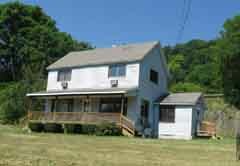 Quiet country setting With 2.55 surveyed acres. A must see! 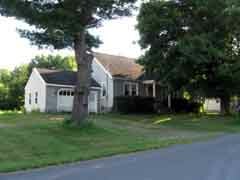 Charming Farm style home located in great country setting with easy access to Thruway. 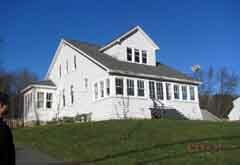 This lovely home is situated on 2.2 acres & features a first Floor bedroom or office w/half Bath. A large Living room, dining area + eat-in Kitchen completes the first floor. The second floor offers 2-3 bedrooms, study area, Walk-in attic plus a full bath. Two Car Garage is attached. A great comfortable home, Priced to sell! 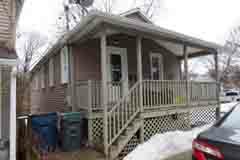 MLS #85163 88 Bross St. Meticulously cared for 2 story 3 Bedroom home offering a huge front enclosed 4 seasons room, sitting area or office + formal dining room, Kitchen & Living Room, all in move-in condition. Enjoy your summer in the AG Pool with huge deck & large back yard for entertaining & gardening. This home is situated in a great central location with close proximity to schools, shopping, dining & recreation. Spacious driveway, carport PLUS a detached 2 car garage with electric. A peaceful setting yet close to everything. Privacy abounds on this great private country parcel. Build your dream home on this 11 acre parcel with great mountain views. Close proximity to shopping, Thruway & only 20 minutes. From Skiing. 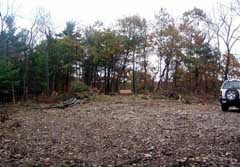 Driveway & home site are cleared, just waiting for a new owner. 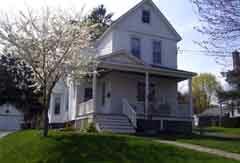 Circa 1890's Two story home with much original detail. This 3-4 bedroom home is situated on a beautiful lot with the Hannacroix creek behind home. Enjoy the front Enclosed porch or the back open porch with the serene sounds of the creek & waterfall. This home is in need of TLC but has been loved by the current owners for the past 42 years. A 2 car garage is included + a barn with electric, workshop + old outhouse. Close proximity to the Thruway, 20 Mins. To Albany & just 2 Hrs. to NY City. A must see! 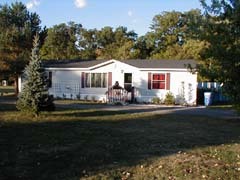 Come see this great Starter or Retirement Home in Quiet country setting on private 1/2 acre lot. This lovely home features newer Kitchen & appliances, beautiful laminate flooring, large master bedroom With full bath & large closet. Additional bath off Bedroom W/shower, Potential for 2 suites. Living room w/carved Pine for added country charm. Lots of storage + pull down staircase to attic. 2 Large sheds + detached garage with Electric & heat. This home is very economical for cooling & heating. Move in condition! Come relax in this Privately perched Contemporary style Lakefront Home situated on a secluded double lot. This home offers many unique features including a sunken living room with pellet stove for those cold nights, vaulted ceilings, European kitchen cabinetry, tiled and wood floors. An artist studio or office with Guest quarters is part of the house as it has separate entrance and spiral staircase that leads to sleeping loft. Enjoy all amenities of Sleepy Hollow Lake Community & nearby Golf, Skiing, Hiking Trails & more. 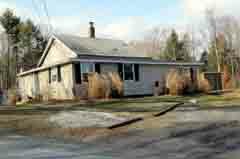 Great starter home/retirement home on a dead end st., single floor living. 2 bedrooms., 1 full bath. 3rd bdrm above, perfect for quests, office or studio. Gleaming, original hardwood floors. Attached Garage ready for family room living, but easily converted back to 1 car garage. Full basement panelled ready for fun. Don't worry about the heat, this home offers central air. MLS #83781 5 Lafayette Ave.
Charming Village Victorian. House features high ceilings, pocketdoors, hardwood floors, central air, spacious kitchen with original built-ins & brick accents, formal dining room, front parlor, four bedrooms (Master features huge walk-in closet), 1 & 1/2 baths, mudroom/laundry on main level, 2 porches & back deck. Detached garage with workshop & electric. Nice backyard. Truly in mint condition & loaded with charm & character. A must see. Easy walk to the Hudson River & parks. Great opportunity for family at below appraised value with first floor bedroom. This home features Hardwood floors, many built-ins & closets, a newer kitchen, furnace & vinyl replacement windows with attached one car garage. New garage door needed. Full basement. Great back yard for entertaining. 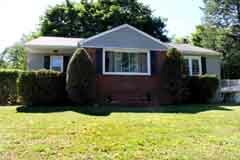 Minutes to Albany & surrounding areas, great central location. 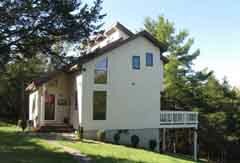 MLS #84272 737 Highmount Rd. here's another opportunity to buy this Fantastic home! Exquisite One of a Kind Contemporary Home located on a quiet country road with 62.24 acres of privacy Yet only minutes to shopping etc.. This unique one owner home features 3-4 Bedrooms, 2 3/4 Baths. Formal Living Room w/gas Fireplace, Family room, Custom Kitchen with Cherry cabinets, Large Peninsula, Corian Counters, Stainless Steel Appliances & Porcelain floors. The open space Dining Room with French doors leads to a large Deck with above ground Pool & spectacular views. Included is a delightful 4 Seasons Room. The master suite has a full bath with Jacuzzi Tub + shower. Included is an attached 3 Car garage & a detached 2 car garage w/electric. A Spacious Full basement with 2 enclosed rooms (1- w/workshop) w/8' ceilings is great for future living. This home has many features too numerous to mention. Charming very well cared for 2 story home on lovely landscaped lot With beautiful perennial gardens. Set just outside village, great central location. Only minutes to Parks, Boating-Hudson River, Shopping etc.. The Garage features Own electric + side Lean-to for extra storage. A gorgeous setting at this 4 bedroom, 2 1/2 bath Custom built split level with Master bedroom hot tub and wrap-a-round windows which overlook the lush surroundings. The basement includes an enormous fireplace w/walk-out to lower level for entertaining, multi level decking with gazebo, perennial garden . Anderson casement windows, plus much more. Mountain views and close to world class skiing and four season recreation. MLS #52216 56 Mill St.
Riverfront property with 100ft of private beach and water access overlooking state preserve. Bright and sunny, this early Victorian home sits on a rolling lawn, commanding full river views. This four bedroom, three bath home has original mouldings and high ceilings, a wood burning fireplace in the living room, and wood stove in the kitchen.. The ground floor offers a separate guest quarters, complete with its own bathroom. 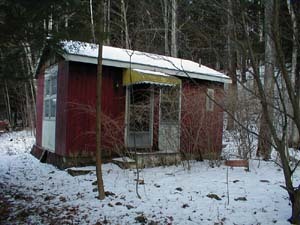 The boathouse/garage could also serve as an artist's studio or workshop. A National Historic District, New Baltimore is a charming hamlet with a strong sense of community. Little seems to have changed since the towns conception. Built on a rolling knoll with meandering pedestrian lanes and alleys, town walking trails, waterfall, swimming hole, a nature preserve, kayak boat launch, and marina. A step back in time yet only minutes to the thru way and 2 hours to N.Y. City. Charming old style home in rural setting. House has electric heat supplemented with wood burner in living room. Sun room off Living room with slider to rear of home. Unfinished room off kitchen. Older garage & out buildings on property. Level building lot in quiet country location. MLS #83412 246 Alcove Rd. Spacious R.Ranch with many upgrades including updated main Bath, Pergo floors in Eat-In Kitchen & Dining Room. New Hdw. Stairs. New Roof in 2011. Newer Windows. Lg. Master Br. with French Door to private deck. Closets galore. Hdw. Floors under carpet in Bedrooms. Lower level features large Family Room with wood burning Fireplace. Bedroom or office Plus laundry room. The large private back yard is a great place for entertaining with a patio + room for future gardening. Property is nicely landscaped. Exceptional Victorian in Excellent condition. . Many upgrades. Gleaming new hardwood floors, in kitchen + recessed lighting, ceramic tile back-splash. Bath: New Ceramic tile, new plumbing, original porcelain tub. Fresh paint, New crown molding PLUS new trim throughout this lovely home. Screened Sun Room off Living Room. Newer Roof + new Furnace. 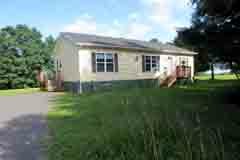 Property features a large rear double lot including a spacious newer deck for entertaining. Barn with electricity, great area for storage or workshop. A must see home, Move right-in!! Seasonal river views. Walk to Park, River etc. Great central location. MLS #58843 521 High Hill Rd. Well maintained Ranch featuring 3 Bedrooms 1.5 baths, Gorgeous new kitchen with Oak Cabinets & Corian countertops. Hardwood floors under carpet per owner. You'll enjoy the 3 season room off the Dining Room with plenty of natural light. The full Basement is a great area for future enjoyment with wood burner (disconnected). The outdoors offers plenty of room for gardening or the gentleman/gentlewomen farmer with the large Barn w/electric also. 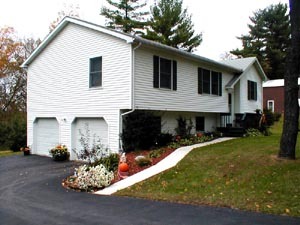 A 2 Car detached garage w/electric, sub-panel & door opener is a bonus (newer vinyl siding). 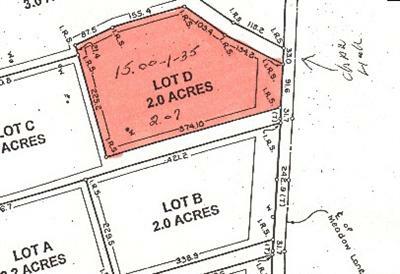 2 Parcels will convey to the new owner with separate Deeds, total acreage of 3.5 Acres. Spacious Craftsman Style Cape situated on child Friendly St. In quiet residential neighborhood. Home had frozen pipes burst over winter with water damage. New furnace installed, asbestos removed still in need of some Sheetrock repairs + replacement of hardwood floors, staircase repairs etc..Photos taken prior to water damage. Great central location. Subject to 3rd. Party Approval. MLS #58599 252 Hillcrest Rd. Drastically Reduced & Priced to SELL! Don't Miss out on this Unique 2 story farmhouse with plenty of original detail including Original Pine planking! This home features gorgeous detail throughout with an open floor plan. First floor living space includes a Living Room, Dining Rm. or a Huge Family Room + a full updated bath. Other features include: 3 Bedroom upstairs + full bath. Newer windows, Siding, & newer Boiler. Enjoy the peaceful sound of the stream & the view of the nearby Pond on this Quiet country setting all situated on 5+ acres. 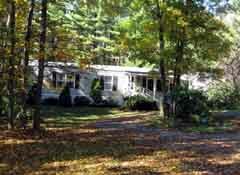 Great starter, retirement Ranch situated on 1.40 private acres. This home has been lovingly cared for by one owner who built this home. Hardwood floors are featured in Lg. Living room, Bedrooms & Dining Rm.. Kitchen & 3 seasons room features Tile floors. The 3 seasons room is a great space off the kitchen. Double closets in Lg. Master Br.. Oil burner is only 2 yrs. Old + this home has an extra wood burning furnace. The exterior features many perennials + privacy. The Garage has plenty of space for workshop. Riding Mower will convey to new owner. Great central location. Near shopping, restaurants & Thruway entrance/exit. Move right in! Spacious 2300 sq. Ft Cape with many upgrades including beautiful In-Law suite W/huge Bedroom & full bath. Separate entrance. Main area features 3 spacious Br., Eat-in kitchen, Lg. Living room w/ Fireplace + full bath, newer windows, Hardwood floors. Private Master Bedroom with bath + sitting area. Full basement. Above Ground Pool, Private back yard. Property is fenced with plenty of area for entertaining. Close to schools, shopping & so much more. Great central location. MLS #58090 157 Flatbush Rd. A great starter/retirement home with convenient country location. Close proximity to Thruway entrance/exit. 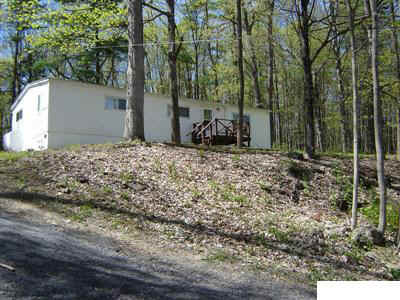 This updated home feature 2 Bedrooms with 1.5 baths, mud room, First floor laundry & more all situated on 4.780 acres. A Great Opportunity! This lovely Ranch features an Open Floor plan with custom Formica cabinets in Kitchen & Dining Area. Hardwood Floors. Living Rm w/Stone FP, Built-ins in Master Bedroom. Storage Galore. Lower level offers a Large family room W/Stone fireplace + work shop/storage area. Full unfinished bath w/Jacuzzi tub off Family Room + indoor heated pool w/ newer pump & filter. Central Air . 3 Zone Oil Heat. 2 Car Attached Garage. Spectacular views + an Outdoor In-Ground Pool. This home has it all, A must see! Custom manufactured home with many upgrades: 5/12 roof pitch, Oak Cabinets, Oak trim, 2 x 6 construction, cathedral ceiling in Living Room. Open floor plan with center Kitchen Island. Dining Room with slider to large deck. Private office space with closet & built-ins off Kitchen. Master suite with full bath & walk-in closet. Laundry on main level. Enclosed sun room just waiting for final touches for year round enjoyment. Meticulous grounds featuring stone walls, Room for garden & more. A must see home! Extra lot (7.69 acres) surveyed, has well & cabin on property also. Privately situated Custom built Post & Beam home designed to compliment the existing 19th century 20 x 40 barn & surroundings on this meticulously groomed 4 Acre parcel. Come & enjoy the breath taking views from the open floor plan featuring a large living room with a stone fireplace & soaring cathedral ceiling with skylights. Large windows provide natural sunlight to this spacious 3 bedroom home with private master suite. The barn offers great space for a studio or Antique shop. Other out buildings include a tractor & equipment shed + a potting/garden shed. Situated only minutes from the Thruway & just 2 hrs. From NYC. A must see home, schedule your private showing now! Spacious Ranch featuring Hardwood floors, Living room with wood-burning stove insert for efficiency. Slider off Lg. Master Br. Leading to private deck. Full Bsmt. Rural country, private setting. 2 Car Garage w/paved driveway. Great central Location. EZ commute to Albany etc. 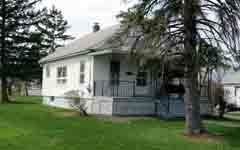 Spacious 4 Plex situated on 3/4 acres with great income potential.Home is occupied by owner but has possibility of rental income of $1800. + per month with owner occupancy or rent entire building. Brand new furnace, gleaming hardwood floors, spacious rooms. Priced to sell, owner motivated! A real cutie!... Great for the first time home buyer or for the retiree looking for some income from the large commercial garage located on the premises. This property offers a semi-private location off Rt. 9W near Bus line & banking/shopping close-by. Sprawling 2 story 5-7 bedroom home with many upgrades in 2002, including new 4 Zone Heating system, Plumbing, Well, & much more. This property features a natural spring with stream, Pond & waterfall in your back yard where beautiful flowers & shrubs abound. Bridge over stream & tree house adds charm. 4 Decks w/ hot tub. Potential for In-Law set up w/private entrance. Call listing Broker for more details, too numerous to mention here! 24 Hour notice is a must! Additional acreage is available. MLS #57567 801 Old Kings Rd. Private country setting. Ritz Craft single wide with newer roof, siding & some new windows. Screened deck off kitchen. Generator hook-up w/generator in shed. Interior features 2 large Bedrooms, large Living Room, Eat-in Kitchen with Island & 2 full baths. A GREAT starter / retirement home! Spacious Center Hall Colonial With Mountain Views. This home features 4 Bedrooms, 2 1/2 baths a large Eat in Kitchen, Huge Living Room, and formal Dining Room + Large full basement for future family room. This lovely home is situated on a 2 acre parcel. Enjoy this Sleepy Hollow Lake Community with all amenities: Swimming, Boating, Fishing, Beach, 2 Pools, Tennis courts, Lodge & club house. Schedule your appointment to see this lovely home now! Only 2 Hrs. To NY City & close proximity to Albany. Seeking Privacy? Look no further! Come visit this lovely home situated on 8+ acres with Meticulous grounds, perennial gardens & 1000 feet of Stone walls + Concrete walk ways. Enjoy the beautiful open front rocking chair porch & the peace & tranquility of this private location. Large garage has heat, electric too. Close Proximity to shopping, schools etc. Private country setting with great area for expansion. Centrally located & close to schools, shopping etc.. This 3 Bedroom split plan features a large Living Room as well as a family room off the kitchen + a first floor laundry. The basement has high ceilings and is awaiting finishing touches for a future large game room. The Master Bedroom features a large walk-in closet with a full bath. A MUST SEE! HUGE Price Reduction! Hudson river Access, View the Hudson River from your back patio. This lovely 3 bedroom, 1.5 bath home has a walk-out basement, Included is a 2 car heated garage with an extension for your work shop, boat or your toys. Much potential for a terraced yard and perennial gardens. Close proximity to the Marina, shopping etc. & just 10 minutes to NYS Thruway. Enjoy the nearby Nature Trails & Hannacroix Preserve. MLS #55465 32 Mill St. Commanding Hudson River views and 75' frontage on the river at this Circa 1850 Hudson River Front Colonial with a charming historic village setting is just waiting for you. The lower level 2-bedroom apartment with separate entrance enhances the possibilities. There are many original details to offer. Own a piece of New Baltimore history and enjoy the peaceful setting whether a weekend get-a-way or year round residence. Only 2 3/4 hours to NYC and easy commute to Albany / Saratoga. Outstanding River Views! 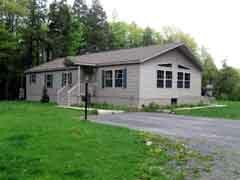 Enjoy direct views of the Hudson River from this lovely well cared for 3 bedroom ranch home. Great area for entertaining. Lush landscaping with many perennials. This home has been meticulously maintained by one owner for the past 40 years. Great location with easy access to Thruway. Only 20 mins. to Albany. 2 Hrs. to NYC. Excellent starter/retirement home. Home features Large Living rm. w/pergo floor. Lower level family room with gas fireplace. Economical heating. Roof & Siding approx 2 yrs. old. Huge deck. Great central location. Close to schools & shopping. Recent 2003 rehab & Priced to Sell at this offering which includes 2nd floor apartment above commercial space. Appliances negotiable. Rehab includes new furnace, new hot water heater, rubber roof,new wiring, 2 gas meters, 6 mil.plastic basement floor w/#2 stone. This could be an ideal opportunity for owner occupied w/business on ground level. Conveniently located minutes to exit 21B NYS thruway, 30 minutes Albany, walking distance to the Hudson River. Quaint village setting. Enjoy all the comforts of a new home in this totally re-habbed home. Priced below appraised value! Seller has spared no expense. This gorgeous Cape-cod home features 4 Large Br, 2 full baths, New kitchen with Granite, Stainless Steel Appliances, Italian tile flooring in Kitchen & Baths. A lower level finished Lr. Or Family Room, full walk-out with slider to future patio. Large Deck overlooking future terraced grounds. A must see! Won't last at this exceptional price! Quiet Family Residential neighborhood! Enjoy the cozy gas Fireplace in the Living Room PLUS a huge kitchen with spacious counters for the family chef & entertaining. In addition, this home boasts 3 bedrooms, 2 full baths, Family Room PLUS a large unfinished basement for future living space. Move right in! 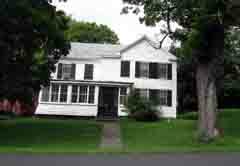 This four bedroom (one on the first floor) 2-3/4 baths circa 1840 Eyebrow Colonial on 11.7 acres features many original details, a brand new furnace, lots of potential and very E-Z commute to Albany. There are stonewalls, a gazebo, wide board floors as well. Bring your offers and ideas. From 5.1 to 7.2 acres with tremendous views of the Hudson Valley and the Berkshires. 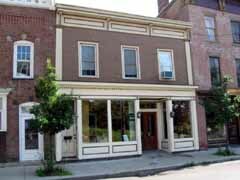 Properties are located in the Town of Coxsackie, less than 10 minutes from the Thruway. Stunning ranch with many upgrades including new custom Cherry kitchen cabinets w/Corian counters. Impeccable Brazilian Cherry floors in Kitchen, Dining & Living room. Huge Sunroom with wood stove. Marble bath. Skylights. Central Air. New Furnace- 2006. Patio, koi Pond, stunning gardens. One car attached + Detached 2 car garage, paved drive. Home better than new. A must see. 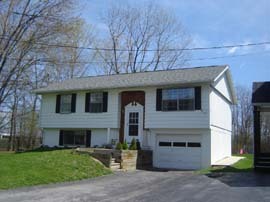 Great 2 Story home in Bethlehem School district. Home features first floor bedroom + bath. Gleaming hardwood floors & beautiful natural trim. Updated Eat-In kitchen with appliances. 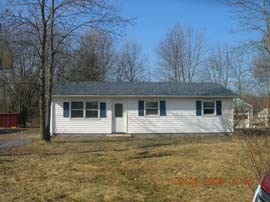 Property also features newer Vinyl siding, Roof & Windows. No work needed here, move right in. Home is available for quick occupancy! Great property for first time buyers. Motivated Seller! Seeking privacy? You'll love the private setting where you can watch wildlife From your front porch or enjoy a cook out around the fire pit. This tastefully decorated home features Hardwood floors throughout plus a Terra Cotta tile floor In the Dr. & Kit.. Top of line appliances. Split bedroom plan. NO updating needed here, move-right-In! Mountain setting Ranch Home with 1.92 parklike acres. Enjoy two Mt. Sky Resorts, State Park and Lake, The Hudson River is just minutes away. 2 Hrs from NYC - Easy commute to Amtrak. This home features: 3 BRs with master suite and bath, Great Room with fireplace, great for entertaining. Over sized two car garage with its own electric, two decks (front 18X8 Rear 24X12). 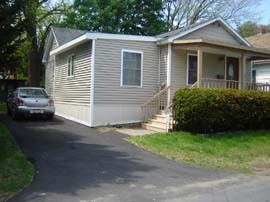 Has Centrail Air, Zoned heating with heated basement, and back-up generator. 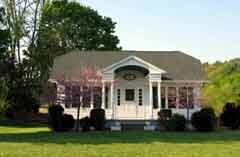 Perfect starter/retirement home in private country setting. Many new upgrades. Very economical heating w/wood stove or FP. alternate. Future room for expansion in the lower level with studded family room w/Fireplace w/heatolator (not used in 4 yrs. ), just waiting for completion. Seller to give $1000. credit at closing for deck. Truly nestled in the pines on a knoll is this 3 bedroom - 2 full bath manufactured home which includes a gas fireplace (could be converted back to wood) a new 4 bay garage w/electric and workshop for the collector on 2.9 parklike acres. Whether you are looking for a great retirement home on one floor, just starting out or a terrific location for commuting in a secluded setting, this is it. 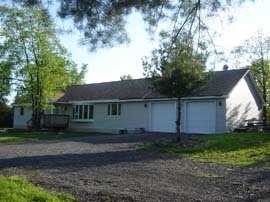 Exceptional spacious Ranch home situated on 4 beautiful acres. Massive interior features, Large Living Rm., Family Room with Fireplace. split plan with private master suite & 2 addt'l. bedrooms + 1 & 3/4 baths. This property has Plenty of road frontage for future subdivision. Don't miss out, schedule your appointment now! This lovely home has many new features including new kitchen, appliances, flooring, baths & some new sheetrock, Fresh paint. Move right In, Split bedroom plan + 3/4 Bath off Master Br. Large full basement. A great starter home. Priced to sell! Custom built 2 story home with many upgrades including Granite counter tops, stainless steel appliances. Open spacious floor plan. 3 Large bedrooms with room for 3rd. floor expansion. All roughed in for rooms + bath. A must see! This Spacious 3 Bedroom home features hardwood floors, lower level large family room with wood stove, wet bar + bath. Seller has made many improvements. This great home is situated on a large lot and is located close to banking, shopping etc..
Charming arts & crafts style 3 bedroom 1 bath centrally air-conditioned home situated on just over 1/2 acre. There are two outbuildings both excellent for storage or one would make a terrific playhouse. 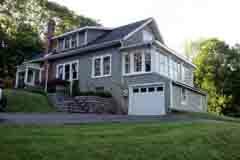 Oak wood flooring throughout,new tilt-in for easy cleaning windows, stone fireplace in the living room, covered front rocking chair porch and minutes to shopping as well as a convenient Albany or Catskill commute. This is truly a cozy country home. 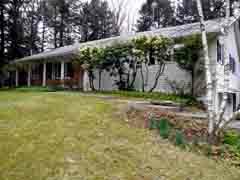 Location, Location, Location, If your seeking privacy with an excellent starter/retirement home, this is for you. Mobile has been wrapped around with lg. living rm., Dining room,Laundry room, Screened porch, Huge deck Plus a garage + an additional detached garage. A must see! 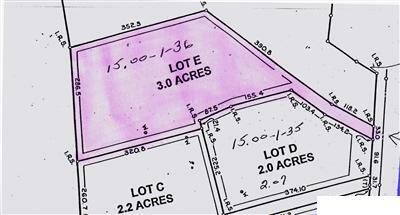 14.4 acres (lot #3). Exquisite, Panoramic Hudson River views. Approx. 400; River Frontage that provides dockage for boats with access to rivers, canals, and oceans throughout America and the world. Wooded parcel offers privacy, abundant wildlife and waterfowl. Prime location, a developers dream! Meticulously maintained home in convenient location to hospitals etc.. Many upgrades. New ceramic tile foyer & bath, new sheetrock, plumbing, electric, floors, roof, windows, doors & siding. 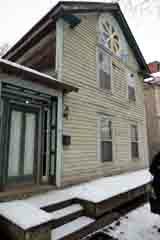 Property rehabbed approx. 1 year ago + current owners lovely touches. No renovating needed here. Great starter/retirement home. MOTIVATED SELLER.... BRING ALL OFFERS!! Property Sold As-Is, Where Is. Home has been vacant for approx. 7 years. Condition of Septic, Well and Electric is unknown. Agents/buyers enter property at your own risk. No children on premises, please. Watch for defects in floors, steps, etc. Thank you. Great private setting for your custom home. Lot is ready to build on, perced, plus surveyed. 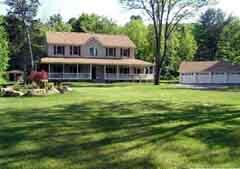 Peaceful country setting with close proximity to Albany and NY City. 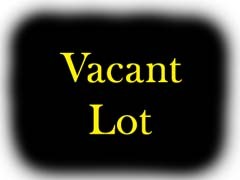 Additional lots avail. Owner will build to suit also. Priced to sell. 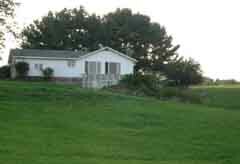 3 Bedroom ranch home situated on 5 acres with Hannacroix Creek on East side of property. Eat-in Kitchen, Dining Rm., screened porch. Wood burner hook-up in living room.3 Barns included PLUS a heated 2 car detached garage. Much potential! Country living at it's finest. 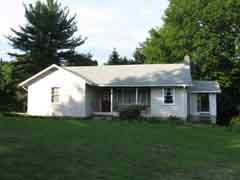 Lovely 3 Bedroom ranch with 2 full baths situated on 3+ acres. Huge front porch plus enclosed side porch. Deck off dining rm.. Full basement. Detached 2 + car garage.Bring the horses, fence is in! Only 20 mins. From Albany. Don't miss this one... Priced to sell! 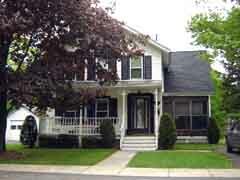 Charming home with spacious rooms, beautiful Hardwood floors, Custom decorating, full basement. Attached garage, screened room for additional seasonal living space. Beautiful back yard. Conveniently located on dead end street. Close to shopping, banking etc. 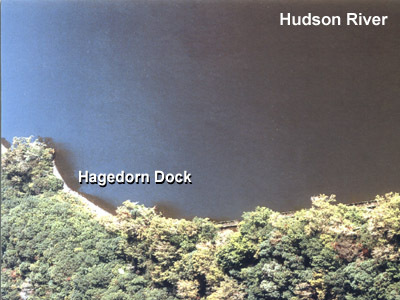 The Hagedorn Dock parcel is the perfect upgrade for the 108-acre parcel listed above. This 1.9-acre parcel has underwater development rights and a geological layout that is perfect for commercial development. Build a beautiful weekend retreat for Hudson River tourists, complete with a dock for your customers to berth their yachts! Location, Location, Location - Only minutes from the NYS Thruway, area shopping and schools, sits this charming starter/retirement home in a private, country setting on 1+ acres. Charming 2 story home located on a pristine lot with many mature trees. This would make a great spot for an in-law apartment or office space. Use your imagination! Excellent starter/retirement home. Move right in! NO renovating needed here, absolute turn key. All appliances included. New roof, doors, kitchen and bath. Great central location. Immaculate Bi-level, looks like a model home! Enjoy the peaceful setting from your upper large deck off the dining room or walk out onto the patio from the lower level. A peaceful retreat! Priced to sell, owner relocating. Escape to the privacy and tranquility which surrounds this Hudson riverfront home! Spectacular Queen Anne Victorian with magnificent 4 State views. Newly constructed in 2001, mint condition & of highest quality! Luxury living at it's finest! Must be seen to fully appreciate it! Private, great starter/retirement home featuring a large living room with a deck off the kitchen overlooking the beautiful perennial gardens. Full dry basement, OS one car attached garage + attic storage. A must see! Nature lover's paradise with peace & tranquility. Mature pines & hardwoods. property is surveyed, perced & ready to build on. Deed restrictions. Seller will build to suit also. call listing agent for more details. Sprawling Ranch on 5.3 Acres. Mountain Views, 2 car garage,3 Bedrooms, 3 Bathrooms, Spacious Kitchen, Formal dining Rm. W/ Hardwood Floors, Family Room w/ Vaulted Ceilings. Master Bath has Jacuzzi Tub. Full Poured Concrete Basement. Large rear deck for entertaining. 42 x 24 barn with stalls plus elect. fence & pasture. Private, yet minutes to Town/Shopping. Dining room Chandelier excluded from sale). Move right in. No work needed here. large living room, 3 Bedrooms, Ceramic tile bath, Hardwood floors. Very spacious family room on lower level w/propane stove. One car garage, paved driveway. Lots of windows, plenty of sunlight.Roof 3 yrs. old. Large back yard for entertaining. 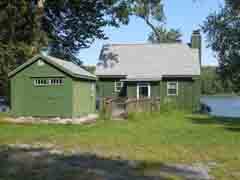 Wooded 5 acre parcel with older 1 bedroom cottage in poor condition. 2 sheds & older mobile on property. Private well and septic, condition of well & septic unknown. Value is in land! One of a kind 2 level ranch built by master craftsman. 4 Bedrooms, 2+ Baths. Gorgeous views of the Catskills & Berkshires. Minutes to thruway & shopping. A must see! Excellent starter/retirement home, Great condition. Home has been remodeled with sheetrock, new windows, new plumbing, new roof. Many updated features. A great private location with a 2 car heated garage for the mechanic. 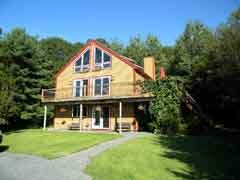 All situated on 2.60 private acres. Well maintained spacious home with 3 large bedrooms, Great location for home Based Business.Close to schools, shopping, banking etc.. Motivated seller, priced to sell! Excellent condition 3-4 bedroom Cape. Totally remodeled & meticulously maintained. Very spacious home with full basement. Private cornerlot. Rent no longer! Own this home for less than the cost of renting. A must see! Move right in! Custom built home featuring central air, wood Burning fireplace, Hardwood floors in living rm. Eat-in kitchen w/corian Counter tops & cherry cabinets. Easy living, seller has done it all. 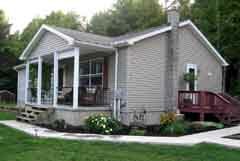 Upscale 3 Bedroom, 2.5 Bath Raised Ranch on private country road. 1 acre lot with a 2-car garage, brand new shed, and a 50' x 30' Morton building! Perfect setting for a growing family! Family compound with a great opportunity. Property features large 8 bedroom. 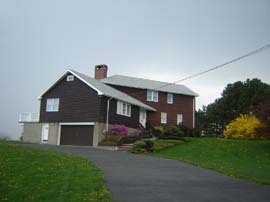 Main house PLUS studio/barn with 2 bedrooms + bath + guest cottage + storage unit + shed all on 3.3 acres. Some TLC needed. Unlimited possibilities!! A must see!! Excellent starter or retirement home in move-in condition. Just bring your tooth brush. Situated on 1.025 acres and just minutes away from three different ski slopes. A must see! Contemporary Center Hall Colonial, ceramic entry foyer, Lg.Gourmet Kitchen, Formal Dr.w/built-in China closet.Spacious Lr.& Fr. w/dbl. Fireplace, Central. Air & Vac. Quality throughout! Seller is agent. Private setting. Close to shopping, schools etc. 40 acres of undeveloped scenic property with a spectacular Hudson River view and almost 650 feet of river frontage. A rare opportunity for an investor or ambitious developer! Located on rte. 385 in Coxsackie, New York. Priced to Sell! Property has been perked & surveyed. There is a pond on the property. Great spot for your dream home. Check out the spectacular lake & mountain views plus beautiful sunset. You'll be able to enjoy them all when you build your dream home on this gorgeous lakefront lot. 108 Picturesque acres in New Baltimore, NY, featuring stunning views across the Hudson River to the east. 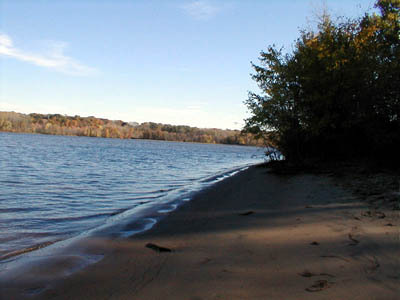 Approximately 2,600-feet of Hudson River frontage. Excellent area for estate type housing or recreational retreat. Incredible opportunity for a developer or savvy investor! Copyright © 2003-present - Event Horizon Studios, all rights reserved.